We undertake surveys of entire sections of the railway to understand the aggregate mass of infrastructure. Our surveying commissions are often combined with feasibility studies, construction impact assessments, costs benefit analysis, enabling works strategies etc. Our strategy is always to minimise time on site. We plan and scope surveys thoroughly ensuring the information acquired is 'right first time'. We use the latest technologies such as laser positioning, GPS location, time/date stamping and digital photo-capture. We treat the survey methodology and final information outputs as one integrated process. We are a telecommunications integrator. We develop user requirements into robust design solutions across the spectrum of system technologies. Our Consulting Engineering division provides professional services for telecommunications, building services and associated railway systems. 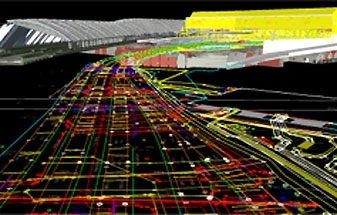 Progressing construction works in the operational environment requires comprehensive planning of cabled infrastructure. We recognise the operation of a control room has critical implications which create higher demands on engineering than for other built space. We have designed, specified and delivered SCADA and station management systems for a wide range of different applications on surface and underground rail infrastructure. We have a large team of industry professionals who we can deploy to help support and deliver rail infrastructure projects. To find out more about the projects we have delivered within the transport infrastructure sector please view our case studies. 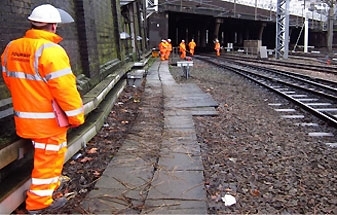 Engaged by Network Rail, Fourway were commissioned to support the feasibility stage of HS2 integration at Euston. Our work considered the impact of various development schemes upon the Station SISS systems and line of route ops telecomms. 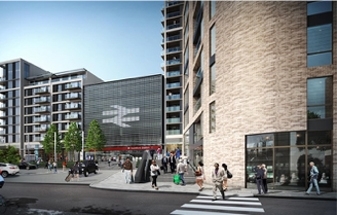 Established in July 2008, Solum regeneration is a partnership between Network Rail and Kier Property formed to attract private investment into the rail network. To support the overall viability assessments Fourway were engaged by Network Rail to identify all cabled infrastructure in the targeted development areas. Fourway worked as an integrated part of the delivery team within the Costain Laing O’Rourke joint venture. Over 4 years we provided enabling works strategy and delivery for the multiple phase construction sequence where the station had to be kept operational at all times.